Our goal at Manoa Dental is to ensure healthy and happy oral health for all patients. Having said that, dentures are a huge step backwards without benefiting from what dental implants can offer when used with them. Traditionally, dentures are fitted to your gums and require a combination of oral muscle coordination resting on "thick" gums for the best results. However, patients requiring dentures usually have receded gums or poor oral muscles resulting from their oral health flaws necessitating a denture to begin with. This is especially noticeable if the lower jaw needs a denture. The addition of at least two implants in the lower jaw makes a world of difference in terms of improving stability and preventing your denture from coming loose. You can avoid any embarrassment of shifting dentures while talking or other inopportune times. When four or five implants are placed, a denture can function with the same strength as natural teeth. Imagine! It will be your third set of teeth without having to worry about cavities ever! Your overall quality of life will improve tremendously with the addition of implants connected to your dentures! Whether you have existing dentures, or in need of transitioning to dentures, call us now for a consult appointment to find out what options are available to you! You can receive complete dental care at Manoa Dental in Honolulu, Hawaii including implants and fixed bridges. Implants and fixed bridges have one trait in common, which is that they both will feel like a natural tooth when completed. However an implant is much more beneficial in your long term future over the bridge in many ways. First, a bridge requires drilling on the adjacent teeth while and implant does not. This is most harmful when the adjacent teeth are already in excellent health which results in unnecessary loss of tooth structure. The undesirable trauma to the neighboring teeth increases your risk for future treatment to them. Second, a bridge is cemented to natural teeth adjacent to the missing tooth and therefore susceptible to future cavities on these teeth. A recurrent cavity is the more common reason that fixed bridges must be replaced resulting in more damage or even the additional loss of neighboring teeth. An implant is composed entirely of titanium and cannot develop a cavity effectively eliminating this problem. Third, an implant simulates a tooth root, consequently it maintains the bone health similar to the original tooth. A fixed bridge however, replaces the missing tooth only above the gums. Therefore the bone and gums will continue to shrink over time under the replacement tooth, and eventually will create an unsightly gap between them. In contrast, an implant replicates the entire tooth above and below the gums. Fourth, an implant is a machined, smooth surface which doesn't allow plaque and tartar to buildup. A natural tooth is course and rough, which must be maintained on a strict cleaning schedule or cavities will occur on the adjacent teeth of a fixed bridge. It is also extremely inconvenient to floss under the bridge as compared to a normal tooth, leading to inadequate home care around a bridge. This in turn creates an environment for future cavities or gum disease. Implants and fixed bridges have the greatest advantage over other conventional treatments for replacing a missing tooth. However, an implant has significantly more benefits for your best long-term results when compared to a fixed bridge due to ease of maintenance and care. 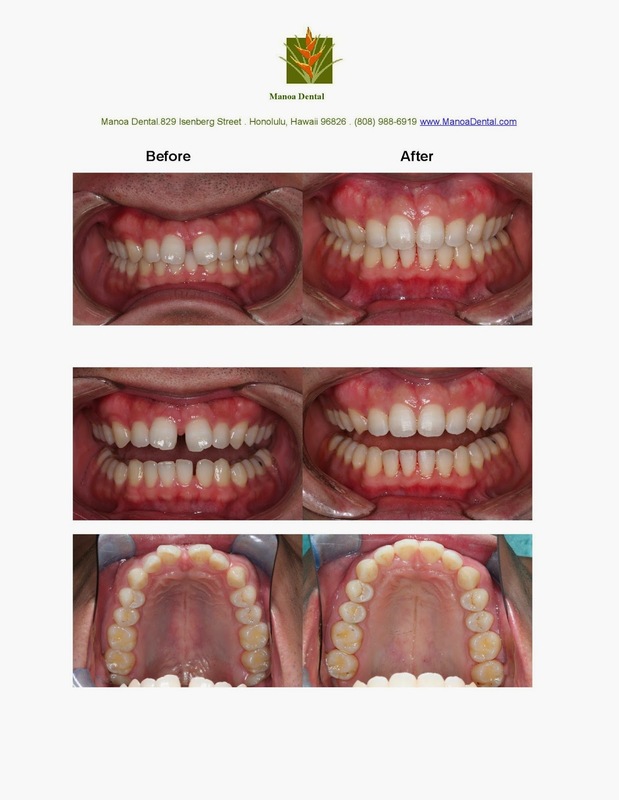 This is an orthodontic case that we have just completed recently. The main goal of any orthodontic treatment is to correctly align the upper jaw to the lower jaw resulting in a healthy TemporoMandibular joint(TMJ). Here, we have not only aligned the patient's teeth, but more importantly properly matched the upper jaw to the lower jaw. This ensures that the patient not only looks good and is stable, but does not develop any TMJ issue afterward, such as clicking or noise in the joints, pain in the jaw, or headaches relating to the bite. 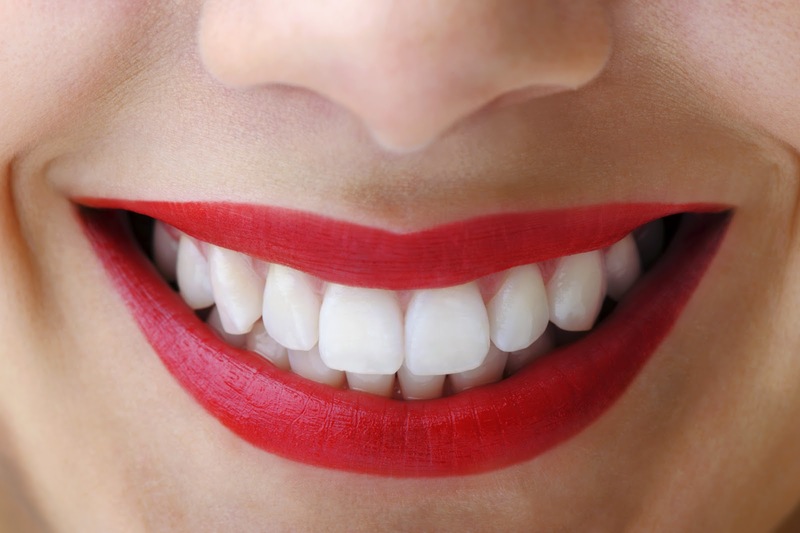 Improve Bite – Teeth that are cracked, chipped, worn, or otherwise damaged by decay can diminish your smile’s appearance, but they also make exerting full bite force a challenge. With the placement of a dental crown, your tooth is restored to its former healthy appearance, and allows you to bite and chew just as you normally would. Make it Easier to Clean Your Teeth – If you have a smile with crowded teeth, you know how hard it is to try to floss in tight spots. While your floss might find it difficult to get in-between teeth, debris and harmful bacteria don’t have it so tough. Straightening your teeth for improved aesthetics gives you a visually appealing smile and also makes keeping up excellent oral health a much easier task. If cleaning important areas between teeth is less of a challenge, both your teeth and your gums can be free of damage caused by plaque and bacteria. Maintain Bone Health - One or more missing teeth can make a big impact on your smile in plenty of ways, but you may not be thinking of how an entire missing tooth (root and crown) can have an effect on healthy bone density in your jaw. Your natural tooth root is situated in bone in your jaw, and helps stimulate healthy bone volume. When you lose a tooth, that stimulation is lost and bone can begin to shrink. This bone depletion can make your face look prematurely aged, impacting your overall facial aesthetic. However, with the placement of a dental implant, your smile and oral health are restored. A dental implant replaces a whole missing teeth – including the root – so healthy bone density can be stimulated and your bone health can be maintained. Dr. Do of Manoa Dental is the only Accredited woman cosmetic dentist in all of Hawaii and one of handful in the world to be Accredited by the American Academy of Cosmetic Dentistry. With her expertise, she is able to help many patients fix cosmetic oral health issues, or even complete full mouth restorations, with the help of cosmetic dental care. Schedule your appointment at Dr. Do’s office to learn more about cosmetic dentistry in Honolulu, HI.